Across the world, inhalers are accepted as the most effective way of treating breathing problems such as asthma and COPD, as opposed to tablets and syrups. With inhalers, the medication reaches the airways in the lungs directly, exactly where it has to act, in a matter of seconds and provides relief. On the other hand, tablets and syrups need to be ingested, which means they reach the stomach and bloodstream first, and the lungs later. Thus, they do not provide quick relief. Moreover, a large dose is required to produce the same effect as the inhaled medication. Since inhaler medication reaches the problem area directly, the dose that needs to be taken is significantly lower than that of tablets and syrups. Unlike what many people believe, inhalers have minimal side effects, because a very low quantity of the medication enters the body. So, you or your child can use inhalers without worrying and continue to do everything you love and enjoy. There are two types of medications that can be taken through the inhalers– Controllers or Preventer (these help control your symptoms) and Relievers (these provide instant relief in case of exacerbation of symptoms or an asthma attack). 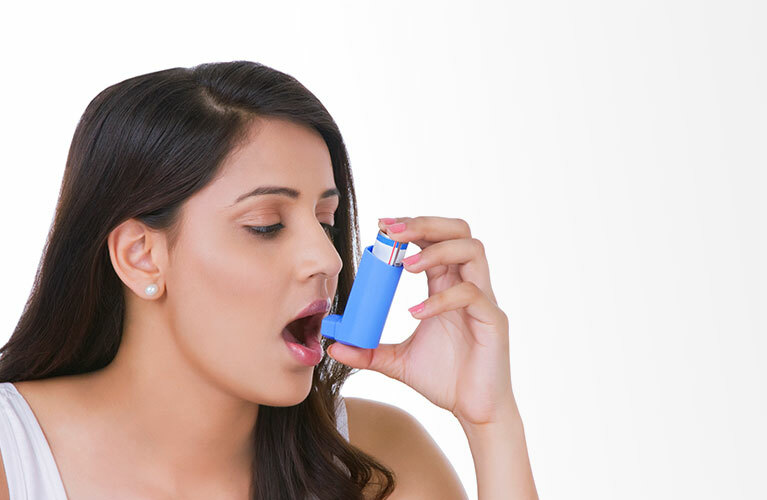 Inhalers have been proved to be the safest and most effective way to treat and control asthma and COPD, as the inhaled medication reaches the lungs directly. Broadly, the inhaler devices can be classified under 4 categories – Pressurised Metered Dose Inhalers (pMDIs), Dry Powder Inhalers (DPIs), Breath Actuated Inhalers (BAIs)and Nebulizers. Also known as pump inhalers, these are the most commonly used inhaler devices. They are propellent-based and deliver a specific, amount of medication to the lungs, in the form of aerosol spray; which needs to be inhaled. It releases reproducible doses every time on actuation. This means that the same amount of dose is released every time. These inhalers do not depend upon the patient’s inhalation to trigger the release of the drug. They require co-ordination between the actuation of the canister and inhalation of the dose. To put it simply, you must inhale and simultaneously press the canister to release the medication dose. pMDIs also come with a dose counter, making it easy to keep track of the number of puffs remaining in the device. Below mentioned devices can be attached to the pMDI, to ease it’s use. Zerostat VT spacer can be attached to the pMDI. It holds the medication for a little while after the pMDI’s actuation. Thus, the spacer helps you inhale all the medication, even if you do not inhale exactly at the same time when the pMDI canister is pressed for releasiung the medication. If your child is unable to hold the Zerostat VT Spacer’s mouthpiece properly, you can attach the baby mask to the Zerostat VT Spacer and then use the pMDI. With the help of the BabyMask your child can easily inhale the medicine, while breathing in & out through the mouth normally. It is also useful for those who have difficulty in maintaining a good lip seal on the mouth piece of the pMDI. The spacer and baby mask come preassembled in a Huf Puf Kit. As it is preassembled, it helps deliver the medication quickly in case of an emergency and saves time. These types of inhalers deliver the medication in a dry powder form. DPIs are breath-actuated devices, which depend on your inhalation, to release the medication from the device. In comparison to the pMDIs, these are easier to use as they don’t need propellants and co-ordination. Usually, DPIs are single dose devices, although multi-dose DPIs are available as well. The Revolizer is an easy to use DPI, usually used with medication capsules known as rotacaps. It provides an accurate medication dose and a more efficient dispersal, even when the inhalation flow rates are low. The Rotahaler is an easy to use completely transparent DPI. It is usually used with medication capsules known as rotacaps. Since it is completely transparent, it enables you to make sure that you have inhaled the entire medication. The Multihaler contains preloaded doses in a blister strip, so you do not have to insert a capsule every time you need to take a dose. When you twist (or rotate) the device, it pierces the blister and releases a drug dose. Multihaler also has a dose counter, which enables you to monitor the number of doses remaining in the device. An advanced version of the pMDI technology, the breath-actuated inhaler combines the advantages of a pMDI and DPI. The BAI senses your inhalation through an actuator, and releases the medication automatically. The autohaler is by far easier to use than a pMDI and some of the DPIs. 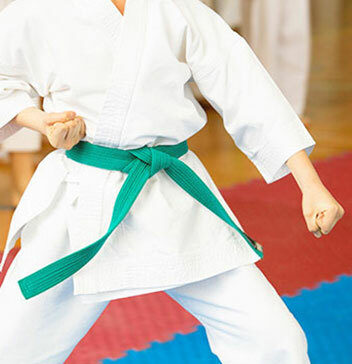 It can be used effectively by everyone – children, adults and elderly. Unlike pMDIs and DPIs, nebulizers convert the liquid medication into suitable aerosol droplets, which are best suited for inhalation. Nebulizers do not require coordination and deliver the medication quickly and effectively to the lungs in the form of a mist. Nebulizers are preferred during asthma attacks, in infants, children, elderly, critical, patients unconscious patients, and those who cannot use a pMDI or DPI effectively. Also known as pump inhalers, these are the most commonly used inhaler devices. They are propellent-based and deliver a specific, amount of medication to the lungs, in the form of aerosol spray; which needs to be inhaled. It releases reproducible doses every time on actuation. This means that the same amount of dose is released every time. These inhalers do not depend upon the patient’s inhalation to trigger the release of the drug. They require co-ordination between the actuation of the canister and inhalation of the dose. To put it simply, you must inhale at the exact moment when the canister is pressed and the dose is released. pMDIs also come with a dose counter, making it easy to keep a track of the number of puffs remaining in the device. This device holds the medication for a little while after the pMDI’s actuation. Thus, the spacer helps you inhale all the medication, even if you do not inhale exactly at the same time when the canister is pressed for actuation. If you or your child is unable to hold the Zerostat VT Spacer’s mouthpiece properly, you can attach the baby mask to the Zerostat VT Spacer and then use the pMDI. The Revolizer is an easy to use DPI, usually used with various Rotacaps. It provides an accurate medication dose and a more efficient dispersal, even when the inhalation flow rates are low. Completely transparent, the Rotahaler enables you to make sure that you have inhaled the medication’s entire dose. Unlike pMDIs and DPIs, nebulizers convert the liquid medication into suitable aerosol droplets, which are best suited for inhalation. Nebulizers do not require coordination and deliver the medication quickly and effectively to the lungs in the form of a mist. Nebulizers are preferred during asthma attacks, in infants, children, the elderly, critical, unconscious patients, and those who cannot use a pMDI or DPI effectively. Label your Controller and Reliever inhalers to avoid confusion. After removing the inhaler from the mouth, hold your breath for about 10 seconds, or as long as it is comfortable. If another dose is required, wait for at least 1 minute before taking the second dose. Keep a check on the number of doses left in your inhaler. In case of dose counters, when the color of the dose counter changes from green to red, indicating fewer doses, consider buying a new inhaler. Talk to your doctor and clarify any doubts you might have about the inhalers. Do not exhale into your inhaler. In case of dose counters, do not tamper with the numbers on the dose counter. Do not use the inhaler beyond the expiry date. While most of the people across the world have accepted inhalers as the most effective way to treat breathing problems, there are still many myths that surround these devices. It is because of these myths that some people are often a little worried when they are told that inhalation therapy is the best for them. However, using inhalers is safe and effective, so you can keep using them without any worry. Despite common belief, using inhalers regularly does not mean you will get addicted to it. The medication used in inhalers is not habit forming. Early discontinuation may cause the symptoms to reappear. Simply put, inhalers are a necessity to treat breathing problems such as asthma and COPD, and do not cause addiction. Inhalers should be used for as long as prescribed by your doctor. This is a very common misconception with inhalers. Inhalers have next to no side effects, as the medication delivered to the lungs is in very small doses. In fact, when taken regularly and in the prescribed doses, inhalers are the safest kind of medication to use for treating breathing problems. Contrary to popular belief, children who have regularly used inhalers to treat their breathing problem have grown up to normal adult height. When you use the inhaler, the medication reaches the problem area – the lungs - directly. Therefore, the amount of medication delivered to the lungs through the inhaler is very small. Such small amounts do not cause any harm. Inhalers can be safely taken by everyone, including children and pregnant women. In addition, the kind of steroid used in the inhaler medication is not the same as the one used by athletes and body builders, for improving their performance. Thus, the chances of you having any kind of side effects is minimal. In fact, you are far less likely to come to any harm from using your inhaler regularly than not taking it. Inhalers are not the last but the first resort medicine for treating breathing problems such as asthma and COPD. Across the globe, inhalers are considered to be the most effective, safe and convenient way of treating most of the breathing problems. Inhalers make it possible for the medicines to reach the problem areas – the lungs and airways – directly to provide immediate and long-term relief. Inhalation therapy is the most effective way to treat your breathing problems such as asthma and COPD, so you can continue doing all that you love and enjoy, and lead a normal active life without any worry.